ROCKVILLE, MD—Business travelers know what they want, and when they find what they’re looking for in a hospitality company, they become loyal guests—and that’s what Choice Hotels International Inc. is banking on with its “We Mean Business” platform. 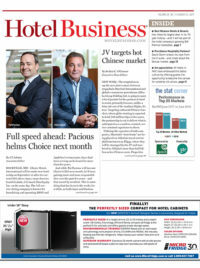 Announced officially in late June, Choice’s “We Mean Business” platform is more than an ongoing marketing initiative being used to further promote the company’s efforts in accommodating business travelers. The hospitality group is leveraging the new platform to also elevate the company’s partnerships with corporate travel managers and provide them with a sense of commitment. Choice believes it has strengthened its managed travel program for travelers and travel managers in several ways: helping corporate clients drive compliance, improving travel budgets and keeping travelers happy. The first is value, and having taken this into consideration for its partners, Choice brought in a “team of account managers that are out there to help with travel managers to make sure they’re getting the best value for their corporate value spend,” he said. Reliability is the second component of Choice’s “We Mean Business” platform. 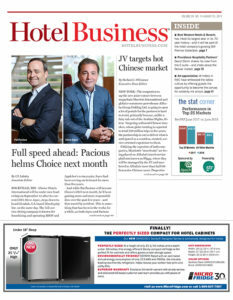 “Corporate travel managers must have confidence in the hotels they’re sending their corporate travelers to,” he said. “This gets back to the fact that we have invested significantly to improve the quality of our product.” Some of these upgrades include delivering essential amenities, including breakfast, WiFi, parking and fitness centers. One of the challenges corporate travel managers face is “bridging the needs of the business with the needs of the individual traveler,” he said. These corporate travel managers are tasked with finding properties in the areas where their clients are traveling to, and that’s where Disantis said Choice can be of service: providing reassurance to corporate travel managers when they’re booking properties for their clients. Late last month, Choice showcased its focus on corporate travel management at the 2017 Global Travel Association Convention, which was held in Boston. Those who had visited the hospitality group’s booth were pleased with the messaging, according to Disantis. 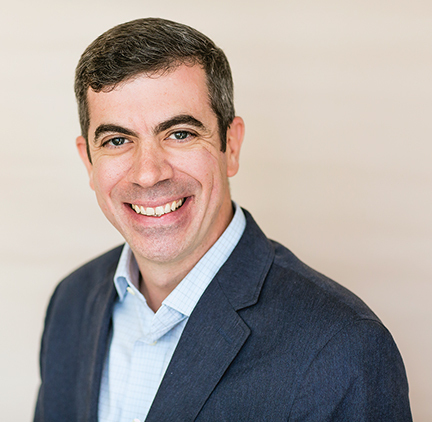 Corporate travelers felt Choice’s platform puts it “together in a way that helps [them]to understand truly, beyond the quality of the rooms and the rates and all that, the value that [Choice] is helping to bring to [them]as a corporate travel manager,” he said. Those who weren’t as familiar with Choice’s efforts expressed interest. “[The platform] is doing a really good job of not only reinforcing the value that we’re providing to our current customers but also provoking a little interest for those organizations that we haven’t had the opportunity to host their business travelers yet,” Disantis pointed out. Ultimately, both the leisure traveler and the business traveler want the same thing: a positive property experience meeting or exceeding expectations. While these types of travelers are basically after the same thing, there’s one main difference—and that’s the loyalty program. “Some of the stats we’ve seen is that 98% of travelers say that a loyalty program plays a role in deciding which hotel to stay in, and more than half would switch if they had access to a better program,” he said. This is why the hospitality group also expanded its Choice Privileges (CP) rewards program. Launched in 2016, Your Extras enables business travelers to digitally select additional, instant rewards on every midweek stay. CP members can gain immediate credits to partners. The CP rewards program has 32 million members, which is something Choice is “elated by,” he said, acknowledging the increase in the loyalty program’s rate of growth as well.